The Menard County Ranch is a 108 Acre turnkey hunting ranch with free ranging exotics year round and trophy level whitetail deer. 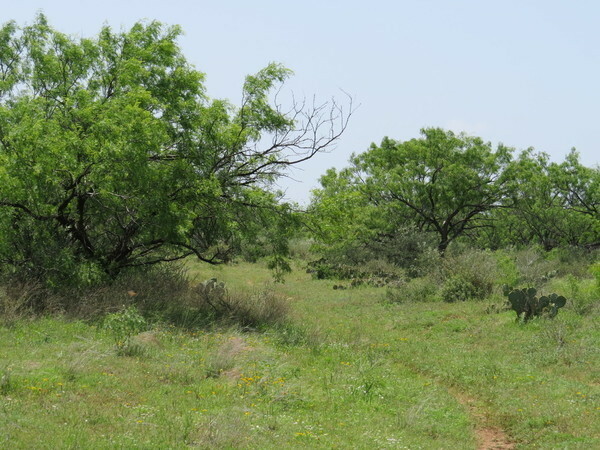 The ranch has rolling terrain with large oaks, mesquite flats, and easy access in and out. A water well, electricity, and fully fenced perimeter compliment the easy terrain and pre cleared camp location. Owner financing is available with 5% down and rates between 8.9% and 7.0%. The property has been surveyed and is ready for a new owner to appreciate this unique Hill Country gem! 12. No deviation of any kind shall be permitted from these restrictions unless permission is granted in writing by the SELLER. maintain the roadways of the development, collect the road maintenance assessment and enforce the restrictions filed for Pecan Springs Ranch. Tell me more about this property, 108 Acre Menard County Ranch, for sale.